Start off your year with some environmentally friendly action next Sunday. Refresh your wardrobe and bookshelf by swopping clothes and books. Try some gourmet plant-based food and play some low-carbon carnival games. EarthFest, billed as Singapore's largest sustainability festival, is back - bigger and better than before. The event inspires people to live sustainably. Now in its third edition, it returns to the Marina Barrage, where the first two editions - in 2015 and last year - were also held. The number of stalls at the festival has grown from 60 in 2015 and 70 last year to more than 100 this year. Designed to appeal to people of all ages, the festival has a food fair, a farmers' market, a green carnival and other activities such as talks and a film screening. Sponsoring this year's edition is media and property group Singapore Press Holdings (SPH) and restaurant LingZhi Vegetarian. ADMISSION: Free but tickets are required. Guests can get their tickets through the event's website (earthfestsingapore.com). They can also buy tickets to the event's talks and film screening, which will allow them to access the entire festival. Ms Chin Soo Fang, SPH's head of corporate communications and CSR division, said: "Singapore, like other countries, is under the threat of climate change. SPH hopes to create further awareness on the importance of sustainability and conservation among corporates, and encourage more community efforts in building a liveable city for our future generations." The food fair serves planet-friendly food, which has smaller land, water and carbon footprints. The festival does not allow the use of palm oil unless it is certified sustainable. It also encourages vendors to prevent and reduce waste in their operations. In addition, the event incorporates positive psychology to inspire change in the daily habits of visitors. It is run by about 50 volunteers, although many of its stalls are also run by volunteers from other organisations. EarthFest's organiser and volunteer director is Mr Michael Broadhead, 34, a Canadian who teaches chemistry at an international school here. He says: "This is a fun, positive and non-profit community festival. We want to inspire and empower people to make a modern and sustainable future possible. The more we work together, the more positive impact we can have." Collaborating with Marina Barrage has allowed the organisers to make the event as sustainable as possible, he adds. "For example, no air-conditioning or fans are needed as the design of the building funnels air through, keeping it comfortable. The roof also covers many of the open-air spaces and we have designed the festival's site plan to be under this cover so EarthFest can operate rain or shine without the need for tentage. "We analysed everything to see how we can design the event to do more with less. This is because each time we reduce what is needed, we reduce the environmental footprint." More than 10 organisations are partnering the event to set up fun, interactive kiosks where visitors can learn and be empowered to live more sustainably. Expect carnival games run by non-governmental groups and local and international school groups. General admission is free but requires a ticket. There are still limited tickets available through its website (earthfestsingapore.com). Payment is required for the talks and screening and audiences are advised to register in advance for these. Senior counsellor Harveer Kaur, 35, who went to last year's EarthFest event and will go again this year, says: "It was eye-opening and lots of fun. It allowed me to understand more about carbon footprints and veganism and what I could do to make a difference. "It is a holistic experience, and there is something for everyone." 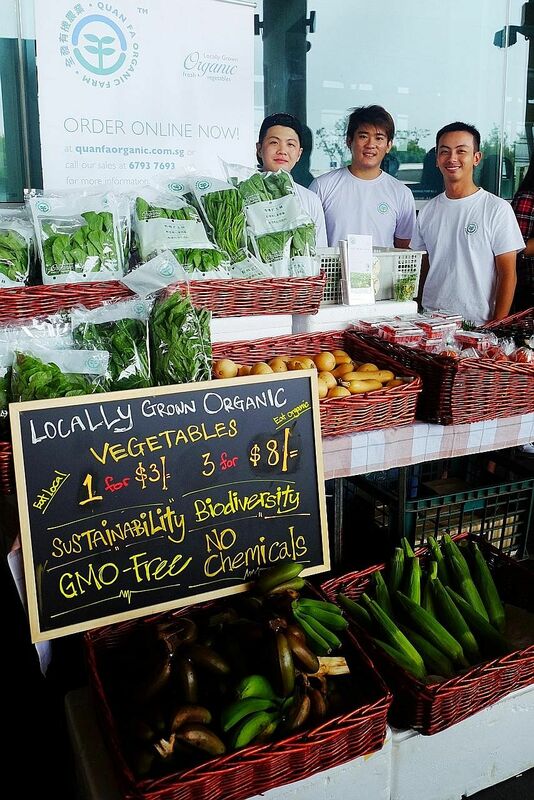 Discover sustainable versions of common products and foods at this farmers' market and food fair. Ola, for example, will sell plant-based snacks such as gluten-free almond cranberry energy balls. LingZhi Vegetarian, a well-known name in Chinese vegetarian gourmet cuisine, will present some of its best-loved selections. They include crispy rice cake with Singapore-style chilli sauce ($6 for six pieces) and vegetarian satay ($8 for six sticks). Artisan's Garden Singapore will also sell soy candles which do not produce toxic chemicals when burnt, unlike paraffin wax candles, which emit petrol-carbon soot. Other stalls include Quan Fa Organic Farm, Well Dressed Salad Bar & Cafe, Smoocht, Poppy & Co, Banyan Tamarind Foods, VeganBurg, Popaganda, Quorn, Delcie's Desserts and Cakes, Hic Juice and Fire Flies Health Farm. Why buy when you can swop? 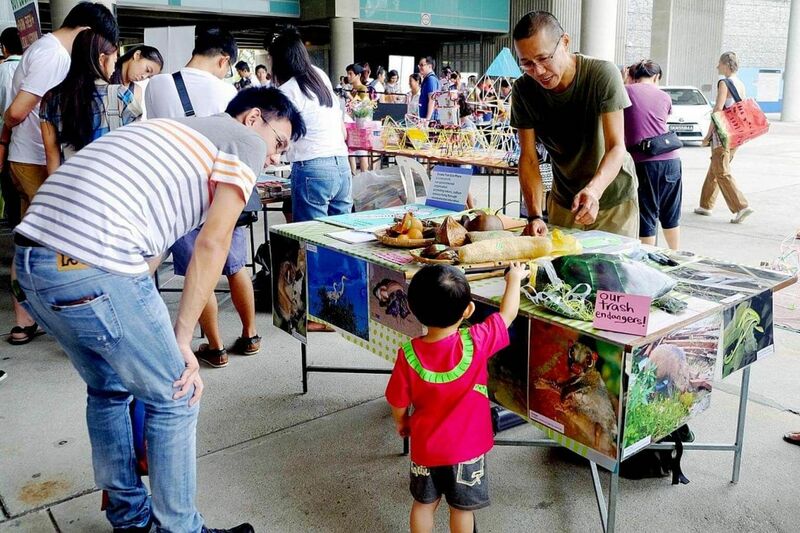 Refresh your wardrobe, bookshelf and toy collection with the swops happening at EarthFest. There will be a clothing swop from 1.30 to 4.30pm, organised by Swapaholic, which is billed as Singapore's first online fashion swopping platform. Participants should register at Swapaholic's website (www.swapaholicevents.com/registration.php) and drop off items at its office at 22 North Canal Road, 01-00 today, from 11am to 6pm. SecondsGuru, an information portal that helps people live eco-friendly lifestyles, will host a book swop from 11am to 4.30pm. No registration is required but participants need to bring their books for a one-for-one exchange. Tattered books, or those with silk or leather bindings, are not allowed. There will also be a toy swop from 1.30 to 4.30pm. To register for it, send an e-mail with your name to info@mastereign.com. Learn about how you can become an eco-warrior and the impact one's food choices have on the planet, through talks curated by eco-conscious festival Green Is The New Black. The first session at 11.45am explores concepts such as the different camps of environmentalists and what can and cannot be recycled. The second session at 1pm includes a panel discussion about palm oil and the haze, while the third session at 2.15pm dives into how food choices impact the planet. The speakers include Mr Kim Stengert, director of communications at the World Wide Fund for Nature (WWF) Singapore, and Ms Zhang Wen, executive director of Singapore-based volunteer group People's Movement to Stop Haze (PM.Haze). Tickets are required for all talks and cost $10 a session or $25 for all three sessions. Register at earthfesttalks2018.peatix.com. 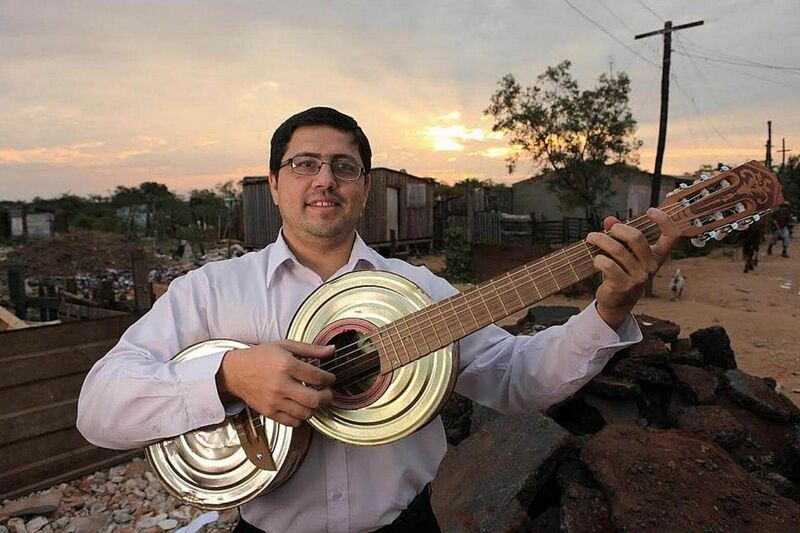 At 4.30pm, the Singapore Eco Film Festival will host a screening of the 2015 documentary Landfill Harmonic, about the Recycled Orchestra of Cateura, a Paraguayan musical group that plays instruments made entirely out of garbage. Tickets to the film cost $10 and can be reserved at landfillharmonicsgeff.peatix.com. Relax and sing along with musicians at EarthStage from 11am until 4.30pm. Performers include local singer Gabrielle Ferdinands, the daughter of musician Mel Ferdinands, who was in the 1970s band Gypsy. 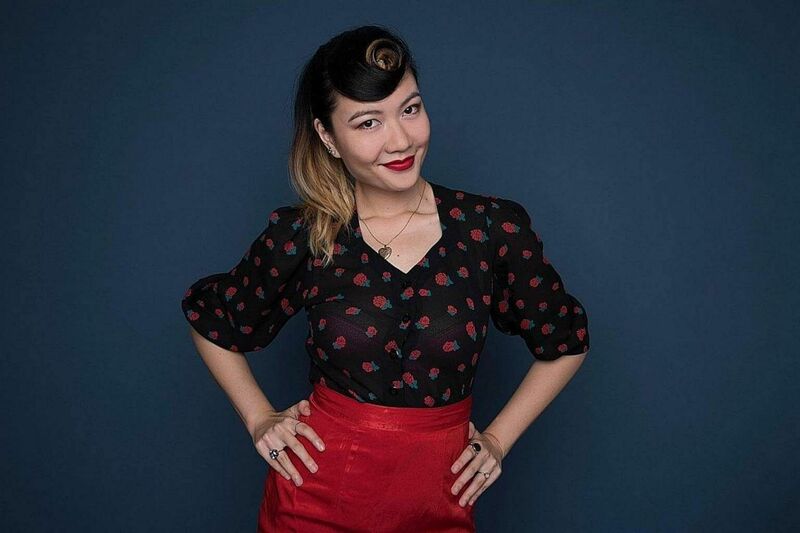 Local singer Christiane Mikaela, famous for her trademark vintage hairdos and sultry pipes, is the headliner and also the event's live music director. Her 45-minute set starts at 1pm. She is known for her YouTube channel where she performs original songs such as How To Love A Woman and Lady Earth, as well as covers of other songs. Local band Orangecove, which play a fusion of electronic and chill rock, will perform from 2.50pm. The EarthCarnival has more than 20 stalls featuring games with an environmentally friendly twist. For example, #LepakInSG, a website which lists environmental events in Singapore, has a stall where people can play a game based on environmental trivia. Green group Plastic-Lite Singapore will run a stall where visitors can determine their plastic footprints using an app. At the stall by non-profit group Animal Allies, play games to discover the water, land and greenhouse gas footprints of animal-based foods versus those of plant-based foods. Conservation International Singapore, a non-governmental organisation which empowers societies to care for nature, will have a stall where people can play a card game in which players match natural features - such as the ocean and rainforest - with the benefits these features can provide. At this stall, visitors can also play a bingo game where players answer questions related to climate change.